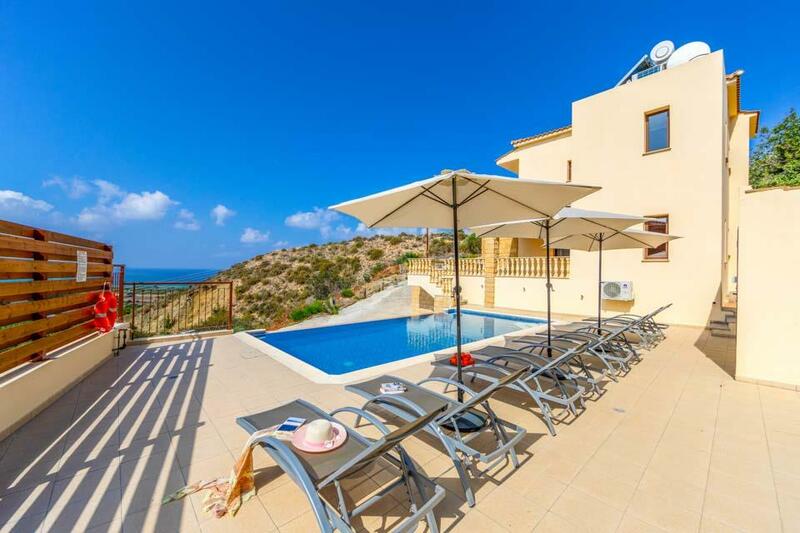 Villa Daria provides an excellent base from which to enjoy the lively seaside resort of Coral Bay, in the Paphos region of Cyprus. Villa Daria provides an excellent base from which to enjoy the lively seaside resort of Coral Bay, in the Paphos region of Cyprus. A footpath leads down to the local beach and if you’re up for a ten-minute stroll, you’ll reach upbeat Coral Bay. 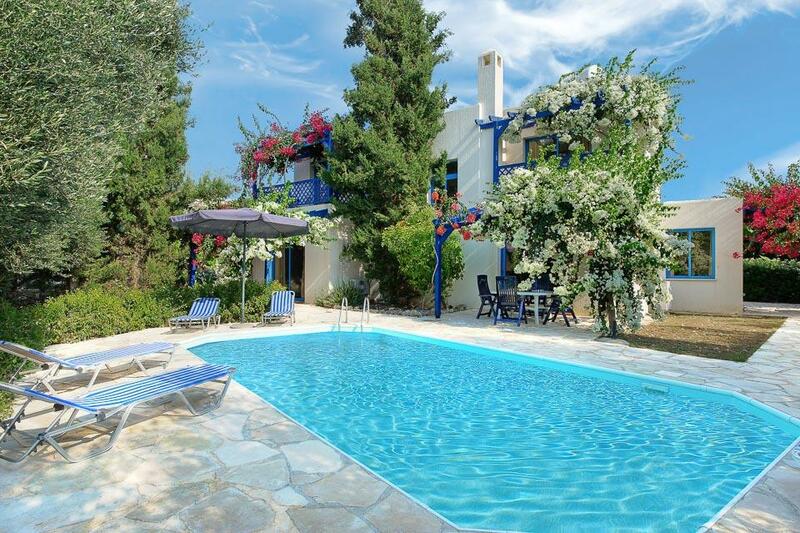 Set within a peaceful, gated cul-de-sac, the villa exudes Cypriot style, with a whitewashed exterior, terracotta tiled roof and shuttered bedroom windows. For those hiring a car, there is a large shady area to park within the grounds. 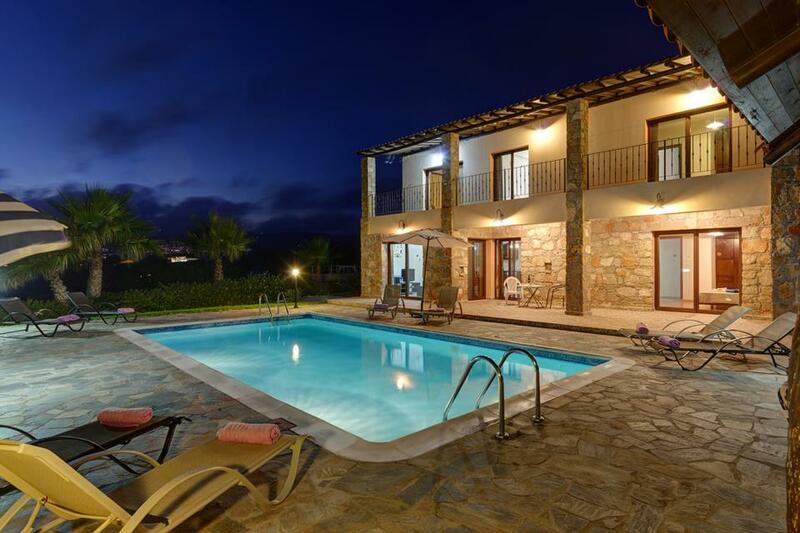 Super spacious, the villa is capable of accommodating up to nine adults over three levels. The lower level even houses a games room, complete with pool table. We loved that two of the bedroom suites open out onto a private patio, set with coffee table and chairs. Lots of sun loungers and a turquoise tiled pool make for the perfect day outdoors. Coral Bay is the best sandy beach in the Paphos region and, if you’re a water baby then you’re in luck! In the middle of Coral Bay there is a water sports centre with everything from banana boat rides, pedalos to jet skis. If you love Scuba Diving the local wreck of Zenobia is a must too. The Villa was fantastic everything was perfect regarding the Villa. Cleanliness, Location, the pool the facilities. Coral Bay is a fantastic place to visit. 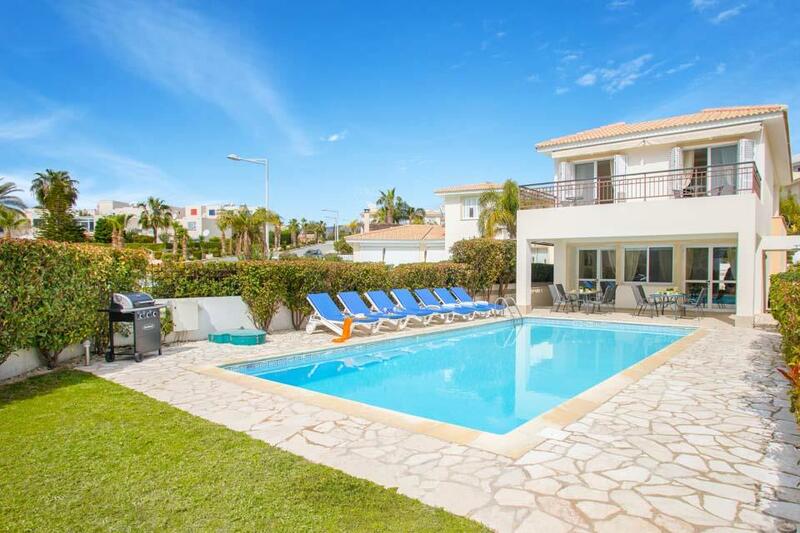 Superb location, close to the sea and the restaurants, bus service is great. Would stay again in the future. So loved Villa Daria in Coral Bay Cyprus, was a bit apprehensive as we had never done a villa holiday before but now wouldn't have it any other way it will be villa holidays from here on in, and we will be certainly using Solmar Villas again so helpful and all the details on hand within the villa with tips about the resorts. Villa Daria was like home from home, so clean and within a great location. The villa was amazing, very well located tucked away yet a 5 min walk to all restaurants and bars. The villa itself was perfect with a large pool and all Mod cons. I can not fault the service we had from our rep Paris who was at the end of the phone if we needed her. I would definitely return. Overlooking one of Cyprus’ most popular and well-established holiday resorts is the newly built Aqua Royal, a detached four bedroom villa with a superb infinity pool and trendy interiors. The villa is very well-equipped to ensure your holiday experience.. This superb villa is situated within sub-tropical banana plantations and offers wonderful panoramic view of the bay with its turquoise clear waters and breath-taking sunsets. There are four bedrooms all with en-suite facilities, spacious living dining..
**Save up to 25% by arriving and departing on the standard changeover day**Poised on a hilltop, commanding stupendous views over the Mediterranean, Villa Kyklamino is a stunning four-bedroom estate. Newly built, but in traditional style, the villa is..